As a well-established and leading restaurant group in New York City and Westchester, Benjamin Restaurant Group was looking to re-invigorate elements of their marketing including the launch of a new restaurant, steak sauce, and e-commerce store. CMDS worked with Benjamin’s internal marketing team to develop brand identity materials, create a custom e-commerce website, as well as market and promote their four restaurants and direct-to-consumer e-retail business. 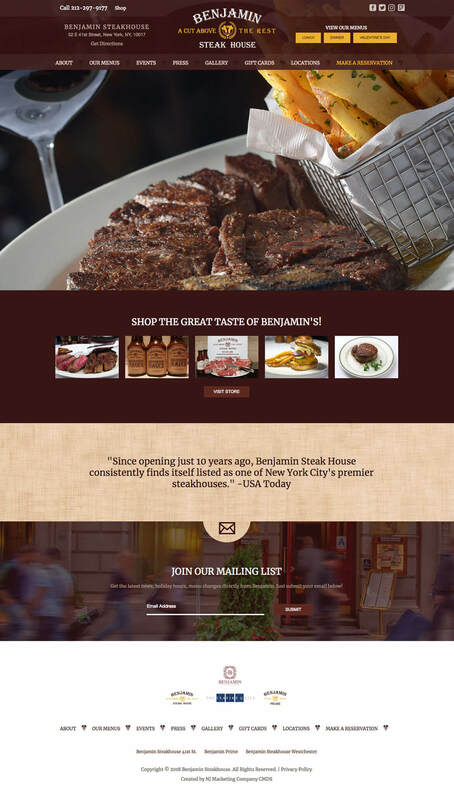 CMDS produced a best-in-class website for the Benjamin’s Steakhouse brand, functioning as a portal into the three different steakhouse locations as well as featuring the new e-commerce brand, Benjamins At Home. We were able to build this engaging site on a custom WordPress framework that involved various integration points to third-party fulfillment and order processing. The site makes it easy for users to make restaurant reservations and explore the various menus and catering options offered by the three steakhouses. When they decided to start developing a Benjamin's steak sauce brand into one that would be sold at retail, Benjamin Restaurant Group came to us to develop the logo and steak sauce bottle artwork. The goal was to keep to the tradition of the long-standing Benjamin's Steakhouse brand but keep it fresh so it would shine on retail shelves. 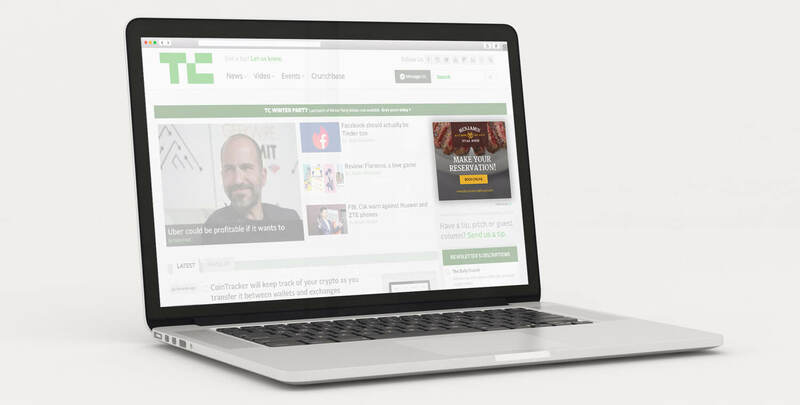 CMDS supports Benjamin Restaurant Group with a variety of online marketing tactics meant to drive brand awareness and leads, including Google PPC advertising, Facebook / Instagram advertising, and Display/Email retargeting campaigns. CMDS has been generating compelling results month-after-month offering an increase in restaurant reservations, catering events, and e-retail transactions.